"But oh, the stories we tell." On the whole, the stories from Storm have been a great experience. 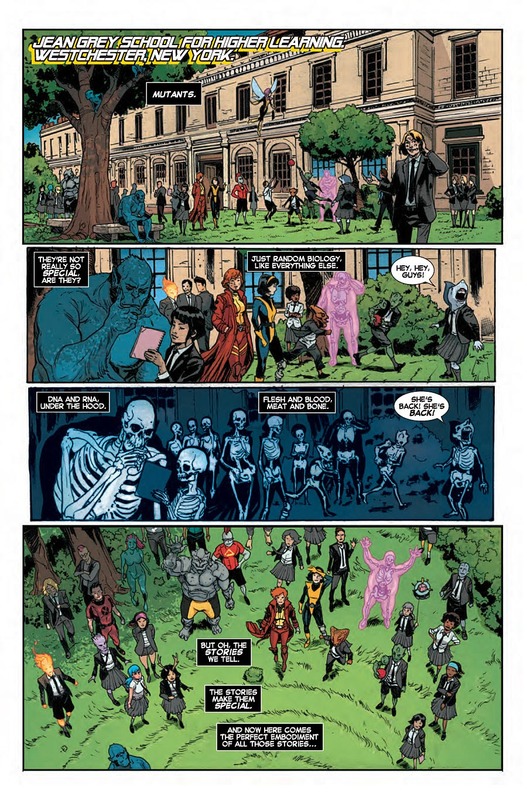 This is a solid solo X-Men series that has carried itself off with aplomb and certainty. It has a well-established voice in the main character and a direction that seems well planned and has been executed to a high standard. Storm #10 has a charming opening page. 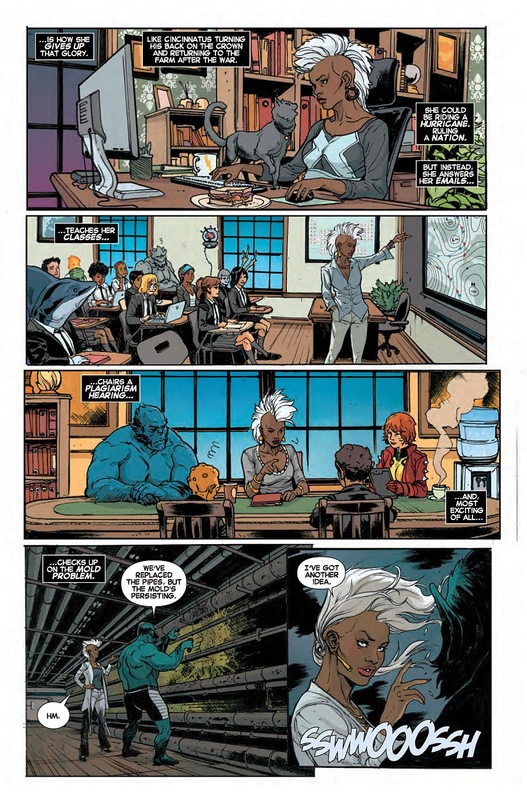 It is a homecoming of sorts for the title character; we see Storm as she is set up for the culmination of the introspective examination that Greg Pak has led us on throughout the series this far. The beginning of this issue also throws readers off guard when it comes time to throw out the hooks, build some suspense, and bring the story around at the conclusion for a neat cliffhanger. The storytelling devices are employed fluidly and with a confident sense of craftsmanship. This confidence from the creative team has permeated the series and helps redefine Storm for a new audience. In many ways this series has defined Storm as a character. 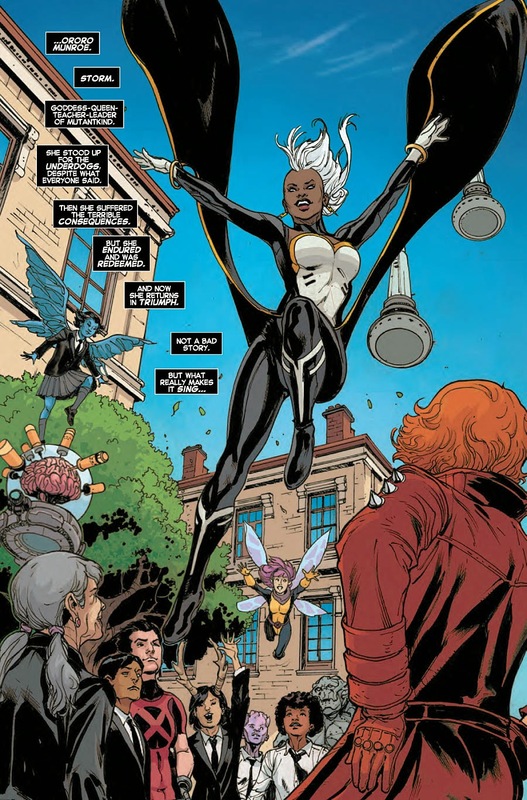 It has asserted all of the traits associated with her in the past and brought them together in a cohesive, modern manner, making this rendering of Storm definitive, particularly from the point of view of the art, which has been so fantastic. We come full circle now as Pak ties up the series in a small concluding arc. It is nice to see the various strands that have been unraveled over the course of Storm being wound back in. From the outset of this issue we are presented with a story that showcases the depth of character and the strength of purpose that has been so carefully examined in the series. The cover by Stephanie Hans is beautiful; she captures the essence of the character in an electrifying manner that fits well with fan expectations of how Storm should look and the power she emanates. Hans's work has been a stellar contribution to the series, bringing the character to life in emotionally fraught situations and heightening the appeal of and response to the book. This is exactly what a good cover artist should bring to any series and is achieved brilliantly on Storm. As we move into the interior art, we are presented with a combination of work from series artists Victor Ibanez, Al Barrionuevo, and Neal Edwards. These artists draw a well-paced and balanced book with well-chosen dramatic angles and direction. The cohesion of art is a great example of how multiple artists can work together to produce a tantalizing story. It is great to see the enigmatic figure of Storm running through a gambit of emotions, and to have this represented so well in her facial expressions is testament to the fine work of the artists involved. Ruth Redmond continues to dazzle with her colors and layouts. Redmond brings the pages to life, imbuing them with charisma. The same earthy tones and gritty feel that we experienced at the beginning of the series can still be found in this issue. Storm is truly a must-read series for fans of solo X-Men adventures. It is executed so well and is a great way to experience more from this character than can be found in the team X books currently being produced from Marvel. 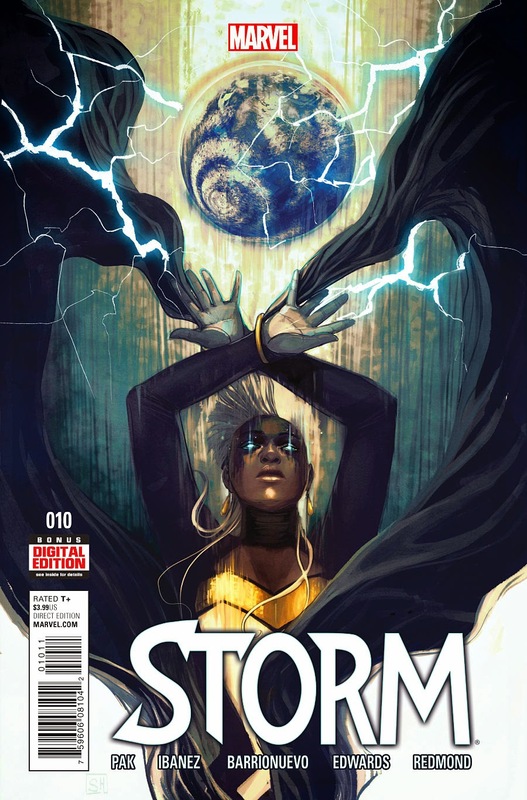 As we near the end of the series, we want to know what you think about Storm #10. Do you like how Pak is tying in all the threads from throughout the series? What do you hope to see in the final issues? What did you think about the surprise characters and the art this time around? Tell us below or head over to the Fanboys Anonymous Facebook or Twitter and leave a comment. Make sure you come back for the next issue, which looks to be the final book before we head into a "Secret Wars"–linked story.